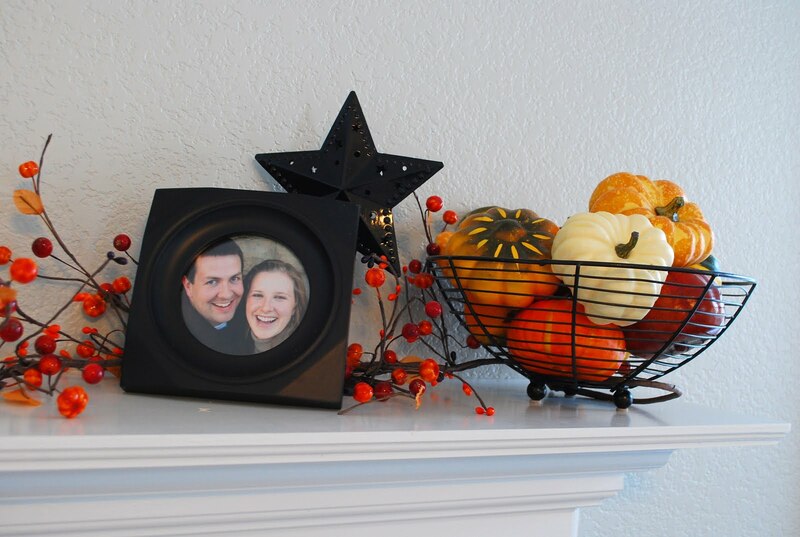 ' Halloween Day 7: Fall Mantle - Sisters, What! 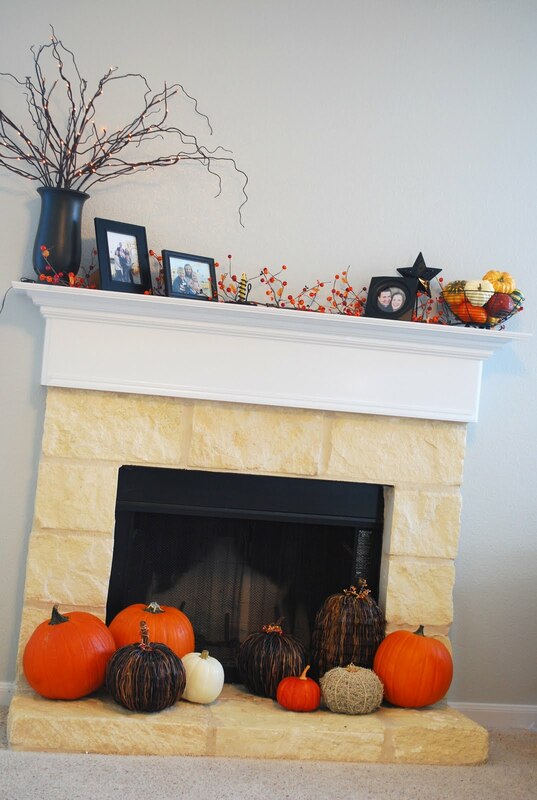 Because it is still 85 degrees outside I really have felt the need for this year to bring the fall inside my house. I am still working on a few projects around the house but so far we have finished painting the living room/kitchen area. I am totally in love with the color. For now I just settled with putting a little fall on my mantle area. I have been trying to use real pumpkins as much as possible but have you seen the prices for pumpkins? At the local grocery store they were between 7.99-9.99 each! Then I was in Target the other day and found some for 3.99!!! Score. I had to grab a few. Come Halloween you will find these beauties out on my front porch carved with scary faces. 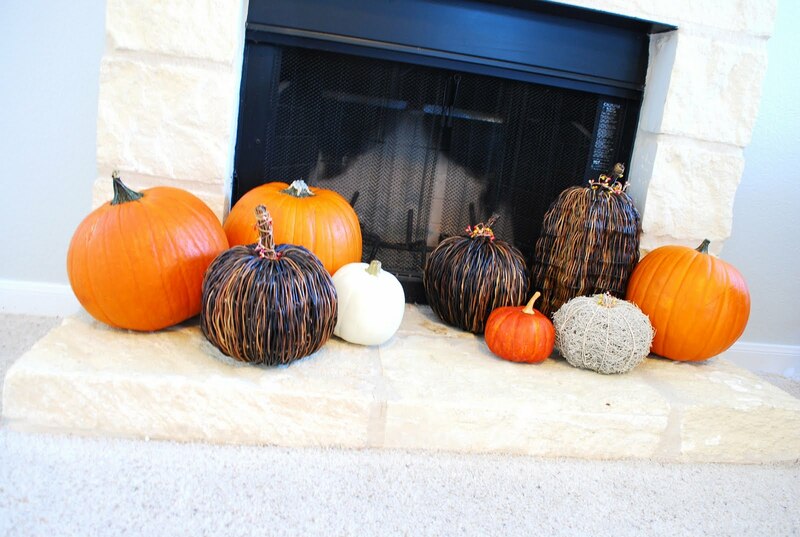 Love all the pumpkins. I don't get why they're so expensive either! 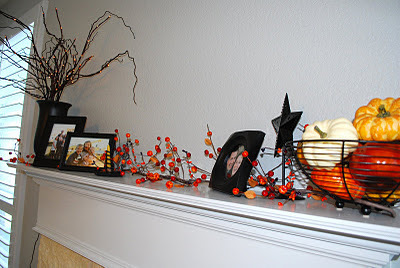 love this mantle!! I am going to feature it tonight! Love this mantle. So simple and clean looking!! Great job! "we think and we act as one, ahah"
This is a great mantle! I've told my husband that I wanted to get a wood worker here to create a deeper ledge for our mantle, but he's a bit resistant... I want to decorate one too.